AtCor Medical Pty Ltd., developer and marketer of the SphygmoCor® system, is the market leader in noninvasive measurement of central arterial pressure waveform analysis and arterial stiffness assessment. An Australian-headquartered company, AtCor Medical Limited’s corporate, manufacturing and R&D operations are located in Sydney. The American subsidiary, AtCor Medical Inc., is headquartered in Itasca, IL. 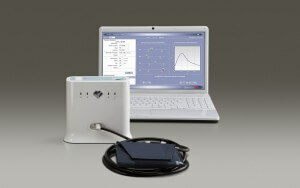 Central arterial pressure waveform analysis and pulse wave velocity from the industry leader. SphygmoCor® technology is used clinically for central arterial pressure waveform analysis to better inform blood pressure management. 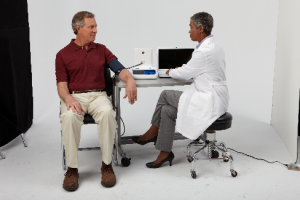 The SphygmoCor system helps physicians individualize care for patients with hypertension, renal disease, COPD, diabetes and heart failure, among other diseases and conditions. In clinical practice and clinical trials, SphygmoCor XCEL is the industry standard for noninvasive central arterial pressure waveform management. 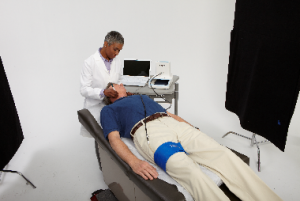 SphygmoCor XCEL provides measures of the central arterial pressure waveform and pulse wave velocity as well as an assessment of arterial stiffness via waveform analysis (e.g., augmentation index, augmented pressure and reflected wave magnitude). To conduct a carotid-femoral PWV measurement, a cuff is placed around the femoral artery of the patient to capture the femoral waveform, and a tonometer is used to capture the carotid waveform. The distance between the carotid and femoral arteries is measured, and the velocity automatically determined by dividing the distance by the pulse transit time.